With the temperatures hovering around zero in Western New York one might ask how insects survive. The answer is a simple one; insects do not maintain a constant body temperature like mammals do. Insects adapt very well to their environment in which they live in. Most insect development is contingent with temperatures above 50 degrees. Insects are capable of slowing their body function down and go dormant when temperatures dip below 50 degrees. Insects will survive frigid Western New York winters and slowly start to move around your home once spring weather is upon us. Not all insect will emerge all at once. Spring time means insects, but where do they come from? Many insects lay eggs in the fall that will hatch once the warmer arrive. Also over wintering, pupae will start to move and finally insects that have been dormant will begin their spring activities. 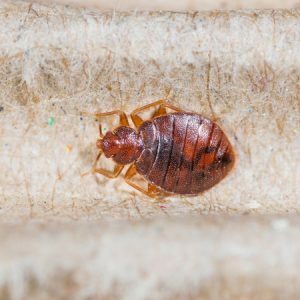 The bottom line is insects do survive the frigid Western New York winter and will become a nuisance to homeowners in the spring. 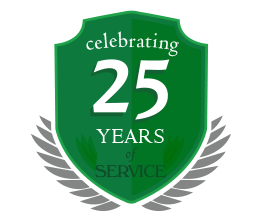 If you think you might have an insect problem, give Amherst Exterminator a call today at 716-908-2475. A single ant is just about the most harmless creature imaginable. Unlike more menacing pests like bees and spiders, we humans have a decent relationship with ants. In fact, laying on the grass on a hot summer’s day, you might not even mind having a few crawling on your arms and leg. This peaceful coexistence can change in an instant, however, if the rest of the colony decides to show up. A single ant paying your home a visit is nothing, at least until he goes back to get his friends. When hundreds—or even thousands—of ants begin to file through your home, it’s time to deal with them once and for all. Here are a few options for treatment. There’s a reason why all those ants decided to make the long trek to your house, and it’s not because they like the music you’re playing. They’re here for one reason and one reason only: to eat. Remember how you threw away all the junk food in your cupboard on New Year’s Day? Basically, you’ll want to do the same thing for the ants. Seal every food container as best you can and cut off any water leakage at the source to keep them from satisfying their appetite in your home. Hopefully they’ll get the message. Sometimes, you’ll need to be a bit more forceful to protect your home. Act as if your home is under attack by an outside micro-army and fortify every possible entry point. Caulk can work pretty well here. You might consider spraying insecticide at suspected entry points as well. You’ll need to be persistent and stay on the lookout in case they’re able to find another way in. It’s a scary thought, but what you see in your house is probably just the tip of the iceberg. If you’re able to follow their path, you might just discover where all the ants are coming from. If you do, you could have a chance to wipe out the entire colony all at once. Otherwise, killing the ants inside won’t even put a dent in the massive amount at the source. If you’re unable to find the colony yourself, you just might be able to let the ants do the legwork themselves. 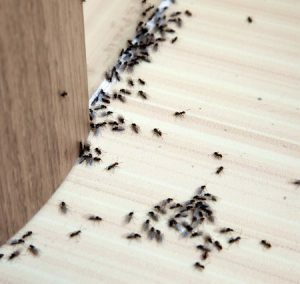 Spraying insecticide in your home will only cause ants to avoid the spots you spray, and they’ll often just use a quick detour instead. Ant bait, on the other hand, attracts ants just like food. If they grab the bait and haul it back to the colony, it can be enough to wipe the entire thing out—queen and all. We wish it were always as easy as we’re making it sound, but ant infestations can be incredibly difficult to pin down. 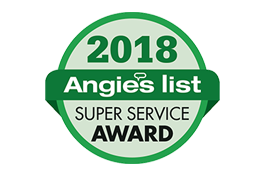 If you’re having trouble with an infestation in your Western New York home, or you’d just like to get it out of the way quickly, don’t hesitate to call Amherst Exterminators and let the pros do the dirty work. There’s a mouse in your house! It sounds like a Dr. Seuss rhyme, but it’s not nearly as fun. In fact, it’s no fun at all. 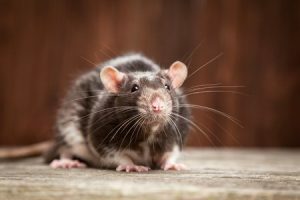 A mouse getting too comfortable in your territory is bad news, forcing you to live in constant fear of a dirty, hairy critter crawling up your leg at any given moment. If you have a mouse darting back and forth across your kitchen floor, you’ll want to catch it first and ask questions later. Many people go with the traditional mousetrap, just like the ones in the old cartoons. In fact, it’s not a bad idea to set multiple traps, especially in your new housemate’s favorite places to travel. Most food items will work fine as bait—mice are not very picky eaters. However, unless you’re trying to provide the mouse a quick dinner to go, it can be a good idea to glue the food to the trap. Peanut butter is also a popular bait due to its stickiness. Another trick that will trap a mouse without harming them has been making the rounds on the internet. It involves balancing the tube from a roll of paper towels over some sort of ledge. Bait is inserted in the end hanging off, and a trash can or similar receptacle is placed below. When the mouse travels too close to the bait, the tube should fall in the can, mouse and all. If you do happen to catch a mouse alive, it’s important to bring them very far away—a mile or more—because they can be incredibly skilled at finding their way back to your home. Poison works as well, but since the mouse will not die immediately, they may escape to a relatively inaccessible area of your home. You know what this means—a rotting carcass in your walls or floorboards, and an even bigger problem than you had before. You might be able to handle one mouse, but in the case of a bigger problem, it’s always smart to call a professional to take care of the problem before it grows out of hand. 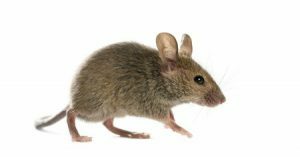 If you’re in the Amherst or greater Western New York area and have mice in your home, call Amherst Exterminators to get to the bottom of it so you can stop scrambling around. Too many Western New Yorkers have experienced a similar encounter. 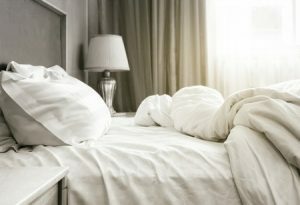 You crawl out of bed and sleepwalk to the bathroom, then shield your eyes as you turn the light on to begin your morning routine. Then, you freeze and gasp in horror as you find yourself face-to-face with the ugliest and scariest of household pests: the silverfish. Remain calm. The silverfish is unlikely to come after you. In fact, they’re probably as petrified as you are, frozen and exposed in the harsh, bright light. Even if their sole goal wasn’t to stay as far away from you as possible, they most likely wouldn’t even be able to hurt you if they tried. Unlike centipedes, which can provide a painful bite—and which silverfish are often mistaken for—they don’t even have strong enough jaws to pierce human skin. Ending the silverfish right then and there with a good squish might make you feel better temporarily, but their populations can grow fairly fast. Chances are, you won’t even be able to catch the silverfish. They are very fast creatures that can make it quickly back to where they came from, often without even being detected. We’re not trying to tell you that silverfish aren’t disturbing. 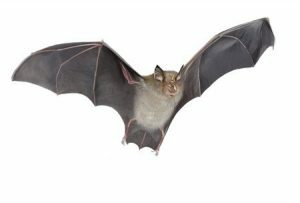 They can live for close to a decade, laying eggs—sometimes up to 50 at a time—and lurking in the dark, moist crevices of your home. If you feel like you might have a silverfish problem on your hands, the best course of action is to contact a professional exterminator who can put together a plan to be rid of the frightening critters. 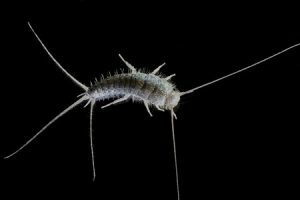 There are steps you can take to prevent silverfish from making themselves comfortable, like keeping your home clean, storing food properly, and using a dehumidifier to dry rooms. Even though silverfish are unpleasant looking creatures, it’s comforting to know that coming after you is not on their agenda. Now that you’ve calmed yourself down, stay on the lookout for more signs of a silverfish problem. If you think there’s more where that one came from, contact Amherst Exterminators for professional pest control services that can tackle the most elusive silverfish populations.